In 1910, the Australian Government passed a law requiring all boys between 14 and 17 to register for compulsory military training. Fourteen year old Will Barnes is a conscientious objector, sentenced to three months training at Fort Queenscliff. There he meets opposition, but also wins admirers by sticking to his beliefs. The episode “1918: Bertie” from My Place depicts one Australian boy’s life in the final days of the First World War. In watching this program – or the three short clips featured on the external My Place for Teachers website – students can learn about returned soldiers, casualties of war, the Armistice, and issues facing Indigenous soldiers. My Place for Teachers also features curriculum-aligned lesson plans to develop students’ understanding of the significance of ANZAC Day, and the wider historical context of the First World War. Additionally, the 48-minute telemovie ‘Boy Soldiers’ from the Winners and More Winners series explores the issues of conscription and conscientious objectors during wartime. 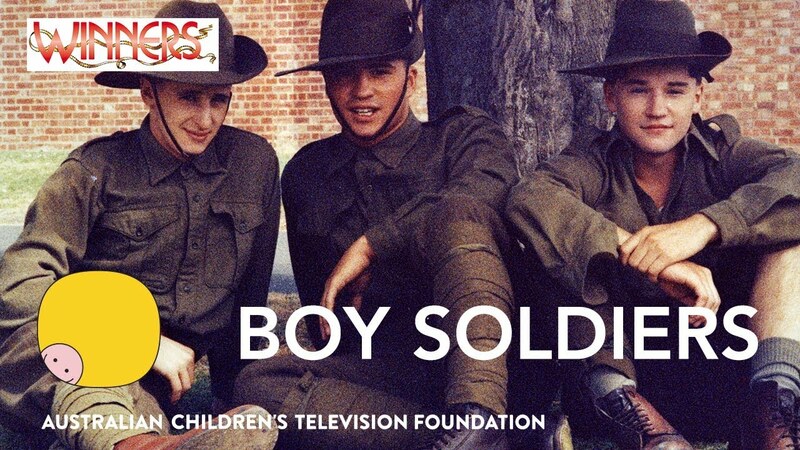 Boy Soldiers is available on DVD from the ACTF shop. The ACTF has produced freely available material to support teachers using Boy Soldiers in the classroom. Teaching Resource A centres on the filmmaking techniques used to tell 14-year old Will Barnes’ story, and Teaching Resource B details the opposing views of conscription, with reference to the 1916 and 1917 referendums.